Which is the US’s Most Prolific Literary Translation House? Amazon. Yes, you read that right. In 2012 Seattle-based online retailer’s AmazonCrossing imprint published more works of fiction and poetry in translation than any other press except for Dalkey Archive, and is the largest publisher of literature in translation so far this year, according to the most recent update of the “Translation Database” compiled by Open Letter Books Three Percent at the University of Rochester. 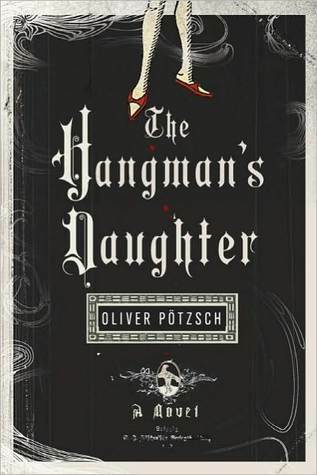 What’s more, it’s worth repeating that Amazon Publishing’s most successful titles to date have been translations: German writer Oliver Pötzsch — whose Hangman’s Daughter series includes The Hangman’s Daughter (2010), The Dark Monk (2012), and The Beggar King (2013) — has become the first Amazon Publishing author to sell one million copies in combined print, audio, and Kindle English language editions worldwide. How could this be so? Sarah Tomashek, “editorial leader” of Amazon Crossing, explained during the London Book Fair that her company translates 14 languages into English and just began to translate into German. They are studying ways to help authors cross more borders, finding better fees for translators, and reducing the time it takes for a translation. She noted that Amazon Crossing has created a platform for editors to connect with translators where they can translate a snippet of a text much like an audition. They are also examining how to shift the balance of royalties for translators. As far as reducing the time it takes for a translation, Amazon Crossing is looking at possible collaborations with other translators. Of course, Amazon is a relative newcomer to the field and it is far more often the smaller publishers that take on and have committed themselves to the long-term heavy lifting of literary translation. Nevertheless, Chad Post, of Open Letter Books — the man behind compiling the aforementioned translation database — notes that the number of works of fiction and Poetry in translation being published in the United States has been growing steadily over the past five years, jumping from 360 titles in 2008 to 453 in 2012 — with an increase of 26.3% from 2011 to 2012 alone. The reason he cites is an overall increase in the number of publishers putting out translations, with 153 US publishers having published translations so far in 2012. This is seven more than 2011 and 16 more than 2010. In addition, the presses are individually producing more, with the top 10 publishers bringing out an average of 15 titles and the top 20 averaging 10 books each year. Overall, it’s a 42% increase in production among publishers over the last three years. You can download the entire translation database for your own perusal.